Limited Spaces Available — Call NOW! as you experience the thrill of a lifetime at New York, Texas ZipLine Adventures. Choose between our 6 ZipLine Tour or our newest 9 ZipLine Challenge Tour with our longest 1500 ft. line w/2 cable sky bridges leading to a 40ft. zip tower. 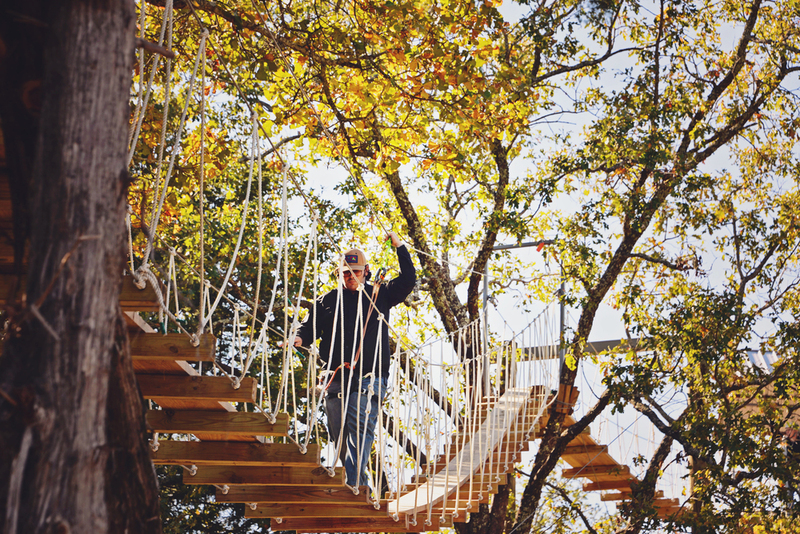 Your zipline adventure will take you from tree top to tree top with 30 mile views from each platform and high above the rocky hillside of one of the highest elevations in East Texas. New York, Texas ZipLine Adventures is located in the New York Community just 15-20 minutes east of Athens where the East Texas Hill Country begins. Along with your ZipLine Tour, enjoy the wildlife and learn about the local ecology or just relax in a beautiful, peaceful, private setting. We are located in the country, so enjoy your travel to some of the most scenic landscape in all of TEXAS! New York, Texas ZipLine Adventures opened in 2008 and has been chosen as the BEST ADVENTURE TOUR in TEXAS 2012-2013-2014-2015-2016 & 2017. Find out about our zipline packages, facility and all that New York, Texas ZipLine Adventures has to offer. Here are our favorite places to stay, shop and dine while visiting New York, Texas Zipline Adventures and East Texas. Visit our online shop to read about each Zipline tour and pick your tour! You MUST call to book your Zip Adventure.